Any integral helmet can be introduced. Zipper to increase or reduce the width of the backpack and its capacity. Visible side pockets with grille. Side compartments for small objects on sides with zip. Two pockets on the front (right and left side) with zippers. Quilted and very comfortable back. 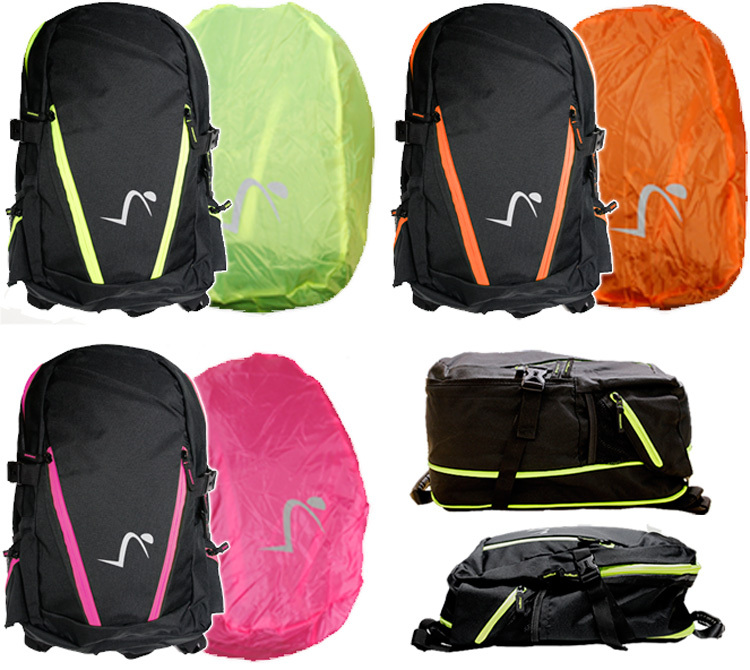 Waterproof sewn to the backpack, placed in a pocket with zipper located in the lower back.